In meditation we do many things in yoga. 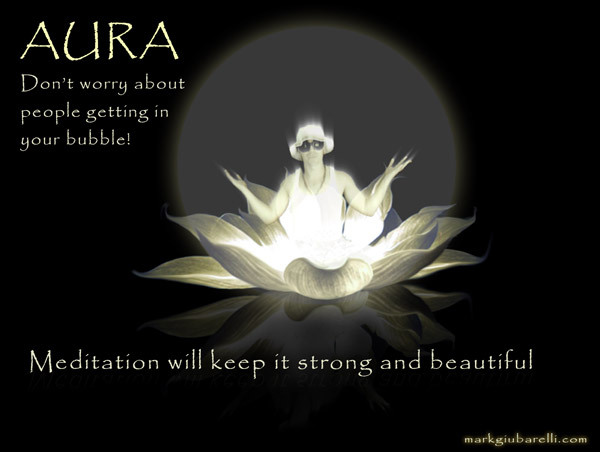 One of the things I like to do is expand my consciousness beyond my body almost creating an aura bubble. When I have taught others to do this I was pleasantly surprised by how beautiful their energy field had become instantly. It made me think I better try harder to meditate in my expanded energy field. Make an effort to expand your consciousness and meditate on an expanded energy field. It will help all those around you.